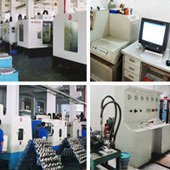 company profile of Egmec Industry Co., Ltd.
Our company integrates manufacture and international trade, and we are manufacturing and providing Hydraulic Control Valves, Hydraulic piston pumps, Hydraulic motors, hydraulic engineering parts, power packs and hydraulic units (systems). As we are a hydraulic unit and engineering goods producer, we are not only producing the products with the most effective processing, but also have adopted our suppliers' products for many years. 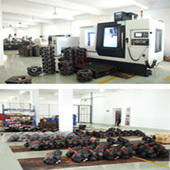 Reliable operation, competitive prices, longer service life, many times of testing procedures and third-party Auditing firm (ISO & CE) certification are the important keys for us to select the parts. We also obtain shares from the same suppliers in order to cooperate with them directly and enhance our product competitiveness in the industrial market. We are dedicated to developing new products for the industrial market, but what the most important task to us is to keep our customers' business moving forward every day. With an innovative and cooperative manner, great products, professional work and outstanding service will lead us and our clients to success and prosperity. 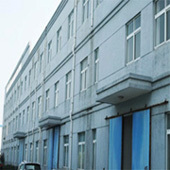 We supply various products and delivery ways to global clients, and please contact us with your requirements.